Will I ever get through this list? 1. The Science of Consequences by Susan M. Schneider. I am about 30% of the way through this book and enjoying it so far. It’s like seeing the world with new eyes through the filter of Behavioral Science (Operant Conditioning) and how this philosophical approach applies to genetics, evolution, behavior modification in humans and all animals large and small, etc. I am very chuffed that Susan Schneider wrote a blog post about my Animal Training poster. 2. The Misunderstood Dog by Jordan Rothman (my illustrations are in this book!) There’s a sale going on this month! So far I have skimmed through the first few chapters and can’t wait to read through it properly. I promise I will post a blog review. The Misunderstood Dog is like an easier-to-read, friendlier, jargon-free version of Jean Donaldson’s “The Culture Clash”, and it is written for dog owners rather than dog training professionals. 3. 25 Dog and Puppy Training Tips e-book by Emily Larlham. I am a big Emily Larlham/Kikopup fan. I can’t wait to read this. *Does anyone know of a good program that can convert PDFs to Kindle Format without messing up all the photos? The e-book is a large PDF file with lots of photos that got lost when I emailed it to my Kindle. 4. Decoys and Aggression by Stephen Mackenzie. This book was recommended to me on a dog training forum. I believe this is a book on teaching police dogs to PERFORM AGGRESSIVE BEHAVIORS (in a humane way) and therefore has some very insightful offerings on how to read and shape dog body language . Also liking this video by Steve White, another police dog trainer whose DVDs I would love to watch but cannot afford. 5. K9 Kitchen: The Truth Behind The Hype by Monica Segal. Not a training-related book but one about nutrition. I think I will start cooking for Boogie again soon. 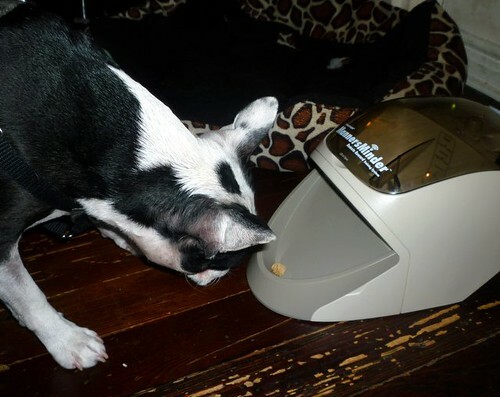 *Does anyone have good tips on using a Dehydrator to make pet treats? eg. do you cook the meat first before dehydrating it? So it’s not OK to boss around and scold a cat because it will damage your bond and mess up your cat, but it’s OK to do this with dogs? While it’s great that nowadays many dog-lovers are promoting and teaching the world about modern force-free HUMANE dog training methods, I wonder if this info is also getting through to the non dog people…. 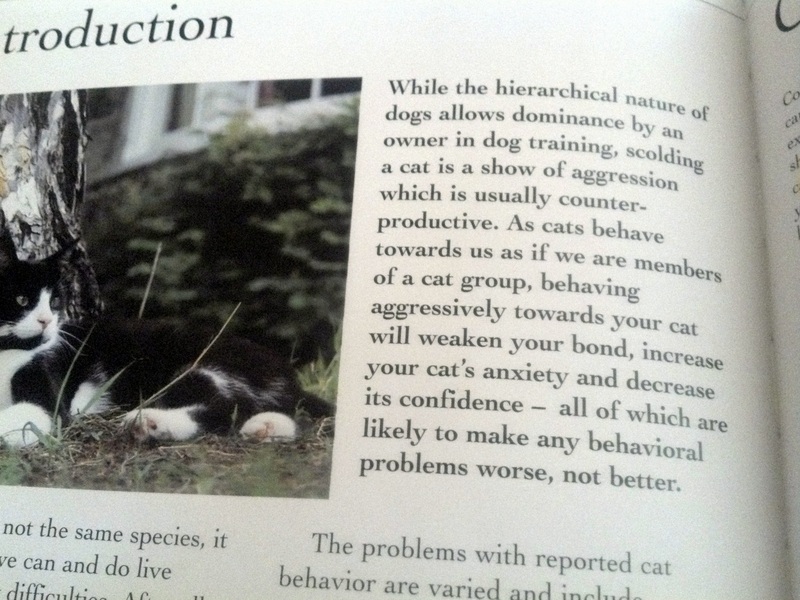 And btw, are there any CURRENT books on Cat body language/behavior/training? Seeing that it’s National Dog Training Month, I am learning to use a MannersMinder! To be honest, it looked a little intimidating until I watched the instructional DVD which goes into a lot of detail about training games, the correct order in which the games should be taught, and how to work the machine settings. It’s quite loud too. When you press the remote control (to dispense the treat), there is a loud BEEP followed by a loud whirring sound before the treat plops out. Entry filed under: Articles, links, Books & DVDs, Cool Products, Reads, Training. Calibre is a free ebook converter, you should try it. In karen pryors webpage there’s some books about clicker training cats. Bye! Thanks. Teresa! I will check out Calibre. I used to use Mobicreator which worked great, but then I upgraded to Windows 7 and it’s no longer compatible. I hope you’re able to post more information on “The Misunderstood Dog” as I’m interested in it, but the mention of NILIF has me hesitating to buy it. As long as I am wading through stacks of unread books and unwatched DVDs, I really need to be excited about a book to add it. I am really enjoying “The Science of Consequences” now. I also loved Laura VanArendonk Baugh’s new book, “Fired Up, Frantic, and Freaked Out: Training the Crazy Dog from Over the Top to Under Control” and Dr. Patricia Barlow-Irick’s “How 2 Train A _______ ” If you needed two more suggestions, you know for your spare time! Hi Rebecca, thanks for commenting! I haven’t read all of “The Misunderstood Dog” yet. I know NLIF is a bit controversial (I loved Kathy Sdao’s book, btw) but I wouldn’t not buy a book because it mentions this. In fact, I think it’s important for dog parents to understand NLIF like “premack” (reward with distractions, or what the dog wants) rather than as negative punishment/withholding of rewards. I have Dr. Patricia Barlow’s book too! I forgot about that one… it’s on my HUGE PILE of books still to read 🙂 Open to suggestions! Thanks for your interest :-). Certainly any method or tool can be used to an extreme or improperly. 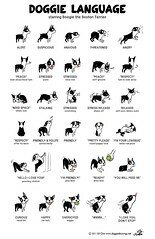 The dog training field is one in which language is always changing and words, phrases, or names for techniques often get used (and interpreted) in so many different ways that they end up meaning different things to different people. As an example, many force-free trainers stopped referring to themselves as “positive trainers” because so many people started using that label regardless of their approach, and so the meaning was lost. -Helping them to understand that much of what our dogs want is normal (attention, to go outside, to play). Rather, it’s how they ask for those things that we may object to (jumping, barking, etc.). -To help them focus on things that are actually important and valuable to dogs. -To help them avoid unintentional reinforcement. -To help them avoid becoming dependent on one or two types of rewards. There are many things that can be rewarding throughout the day besides food and toys. -As a way of integrating training into daily interactions rather than only thinking of training in terms of dedicated training sessions. -As a means of using distractions (when possible) as rewards. Can NILIF be used incorrectly such that fallout occurs? Absolutely. One possibility is for chained behaviors to occur. A common piece of advice given for dogs that jump is to turn your back when they jump and then give attention to them when they sit. This could accidentally reinforce the sequence of jump-sit. But there are ways around this as well. Another point about using NILIF is that what is rewarding in one moment is not rewarding in another–a dog’s motivation is in flux. For example, opening a door or throwing a ball is not always rewarding. But that’s why it’s important to have lots of options for rewards because one thing won’t always work in every context. Just like with anything else, there are exceptions. I only spend about 2 pages on NIILF, but in a previous chapter, I have a section on common reasons why dogs don’t comply with our requests, and I encourage owners to objectively evaluate this so that they can focus on the root cause of the compliance problem. I also encourage owners to opportunistically capture many behaviors throughout the day. I believe that training and interacting with one’s dog should be fun. So far, I’ve never had a client abuse the NILIF concept or take the wording literally. When I teach it, I focus primarily on making one more aware of behavior (dog and human) and that we have control over many goodies besides the obvious ones. We also need to be more intentional about when we dole them out. I do understand the concern though.